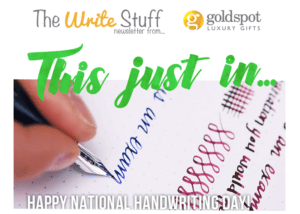 This is my fourth year to blog on National Handwriting Day about the event and finds me sharing two new penmanship videos and a resource page from among the emails in my inbox today. One new video is by Goldspot Pens, and the other by Jet Pens. Furthermore, Write_On has a resource page for suggestions on who to write while at the same time getting to practice your penmanship. 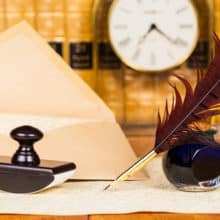 If you are new to my blog, you may not be familiar with National Handwriting Day. 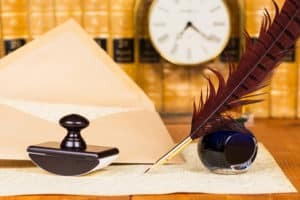 Goldspot Pens in their newsletter this afternoon included this link to their video on How to Improve Your Handwriting with a Fountain Pen. 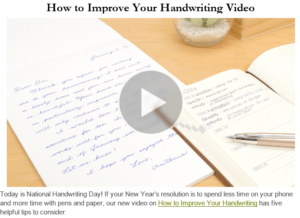 The emailing from JetPens this afternoon includes a link to their new video on How to Improve Your Handwriting video. Write_On sent out an email which includes a resources page to write to those in need (from Write_On page) while practicing your penmanship and making someone ‘smile at the same time’. In my post tomorrow I’ll be sharing about the Cursive is Cool 2019 Writing Contest which begins today and is running through March 8, 2019!